Sucrose ester is classified as an emulsifier but it is usually also used to improve texture, aeration, protein protection and sugar crystallization. In modernist cuisine, sucrose ester is used to make airs and froths such as milk foams and foamy butter sauce. Sucrose ester also generates a finer texture in bakery products, stabilizes dairy and sauces and improves the texture of ice creams and mousses. Sucrose esters are commonly used to improve the texture in low fat alternatives. Esters are chemical compounds that are created by condensing an oxoacid -- one that contains oxygen, such as carboxylic and sulphuric acids -- with an alcohol. 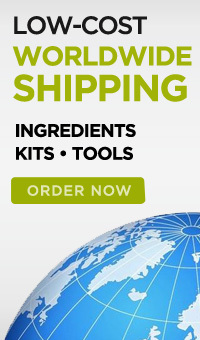 Sucrose ester is similar to water so when emulsifying oils with watery mediums, sucrose ester needs to be dissolved in water first before mixing with the fatty medium. Sucrose ester is classified as an emulsifier but it is usually also used frequently to improve texture, aeration, protein protection and sugar crystallization. In modernist cuisine, sucrose ester is used to make airs and froths such as milk foams and foamy butter sauce. Sucrose ester also generates a finer texture in bakery products, stabilizes dairy and sauces and improves the texture of ice creams and mousses. Sucrose esters are commonly used to improve the texture in low fat alternatives. Sucrose ester is classified as an emulsifier but it is usually also used to improve texture, aeration, protein protection and sugar crystallization. Sucrose ester prevents proteins from browning, , keeps starches from staling, prevents fat bloom in chocolate and accelerates crystallization in sugar confection. 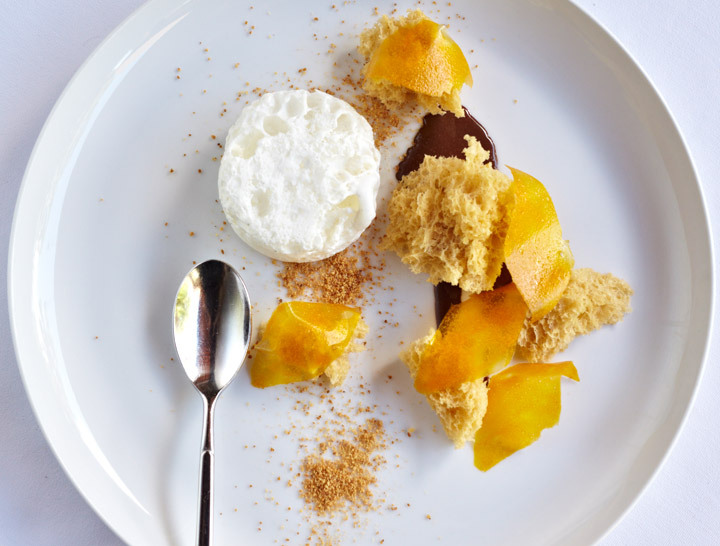 Sucrose ester is used by Chef Will Goldfarb to make cream bubbles as shown in his recipe Praline Sponge Cake, Cocoa Yogurt, Bubbles, Mango Petals. 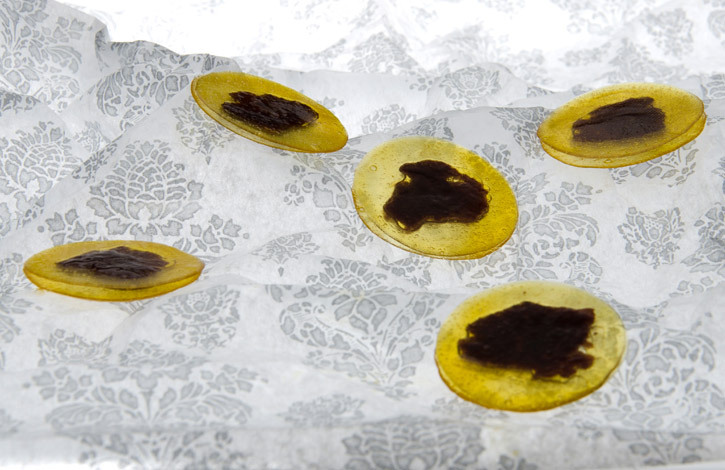 Sucrose Ester is used by Chef Ferran Adria to emulsify black olive water with black olive fat in combination with glycerin flakes in his recipe Mango and Black Olive Discs. 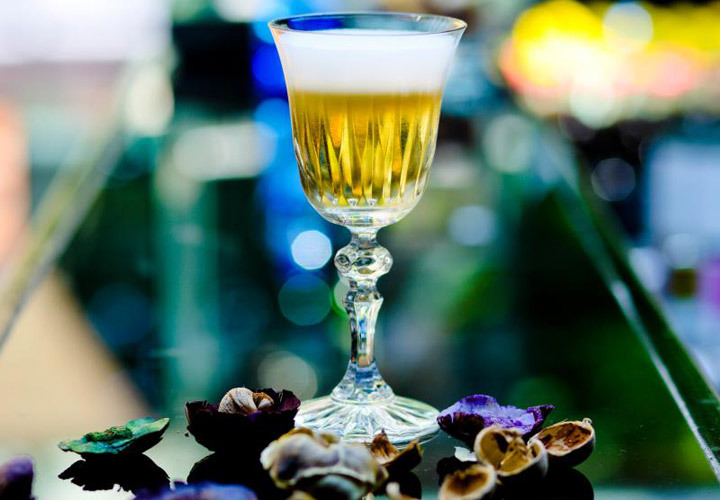 Sucrose ester can also be used with alcohol for a foamy cocktail such as this Modern Velvet Czarina Cocktail. Concentration Range: 0.5-1.5% for most applications. Use 1.2% of sucrose ester to make dry and coarse airs such as milk foams with an electric whisk. Use 1.2% of sucrose ester, 10-20% of melted butter and 100% of desired liquid to make a foamy butter sauce with a hand blender.